There seems to be a problem completing the request at present. Trending price is based on prices from the last 90 days. HJC R-Pha ST. Though, the Pinlok is as must add on or else it will steam up at the traffic lights or low speeds. Throw a Pinlock insert in it and it's perfect. Race visor. 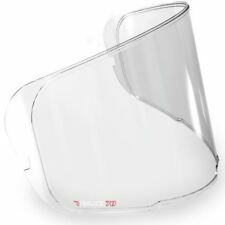 Must have visor. February 17, 2019- by Pete. Condition is Used. Th is h as Hardley be en w or n in great conditionb ot h sm ok e andc le ar v is or. HJC RPHA 11, Darter. I always had Shoei's before so if you have too then in a Shoei the equivalent is Size 57/58 and it will fit you perfectly. I have tried to show them in the photos. Removable and washable crown and cheek pads. HJC IS-17 Marvel Deadpool Limited Full Face Motorcycle Crash Motorbike Helmet. Condition is worn for 100 yards, realised it was to large. Boxed ever since. Not a mark on it. As new condition only worn once. Hjc Hemet Size Large. Model is TR1 with drop down sun visor and pin lock Gold stamped so ok for track days. Inner can be removed to wash but in good condition anyway. It's a used helmet so will have the odd stone chip but good value comfortable helmet. HJC IS-17 Barbwire Black/Pink Full Face Polycarbonate Motorcycle Women Helmet. Condition is Used but excellent condition never been dropped. Dispatched with Royal Mail 2nd Class. Used 3 times, comes with dust bag, box and anti fog. Really good quality helmet. Size large. Postage 2nd class. Main issue is the sun visor does not stay in place as a piece has snapped off. 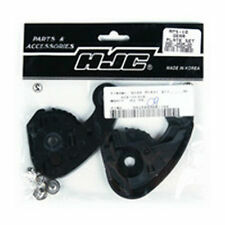 HJC IS-MAX ll MINE HELMET BLACK MATT & ORANGE SIZE S One owner from new. Selling on behalf of my son. Only been worn on half a dozen occasions. Light marks, please refer to pictures. Please study photographs thoroughly as these form part of the description. Smoke free home. Will be sent Hermes Tracked and Signed For. ACU APPROVED. 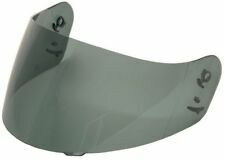 ANTI UV AND ANTI FOG COATED VISOR. COLOUR: WHITE/RED. SIZE: LARGE. IMPORTANT INFORMATION . XXS = 51-52 cm. APPROXIMATE SIZING. REMOVABLE WASHABLE LINER. Se ll in g my wife’s Bi ki ng g ea r as s he d oe s no t li ke m y ne w bi ke. G ra b a ba rg ai n.
Finished in silver, with dark blue lining. There are a few minor scratches which I have shown in the pictures and the is also a small crack in the visor, again shown. In excellent condition, never dropped or in an accident. Get it in front of 17+ million UK buyers.